Swipe right for that job! 'Job Search' isn't what it used to be. Innovation in "Candidate Experience" is taking centre stage. The rise of technology and social media have drastically revamped the human resources landscape. In order to cope with this stupendous wave, companies and more specifically talent acquisition professionals must take very strategic decisions and arm themselves with the most innovative digital tools. Attracting the finest talents, nowadays, is becoming mobile-driven as smartphone ownership and internet usage continue to climb amongst millennials -maybe the most coveted generation in talent sourcing presently- with constantly increasing penetration rates. Hence, recruiters are bound to think mobile! Now, this is obviously a window for software companies to come into the picture, which they are doing. 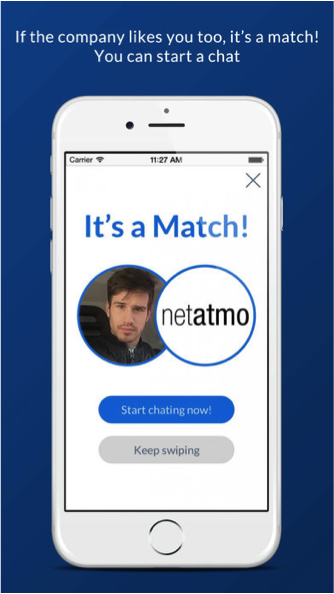 In fact, new tinder-like mobile apps are being introduced to the market. But how can the “left-swipe-for-no, right-swipe-for-yes" concept be adaptable to talent acquisition? Let’s take an example: Jobr app, a job discovery platform launched in 2014 and acquired, in 2016, by one of the world’s paramount job search sites, Monster.com. Jobr app replicates the tinder model and applies it directly to job hunt. Employers can create their profile by uploading their company’s logo, adding a job ad, a concise and precise job description and a reasonable number of required skills for the vacant position. On the other hand, job seekers can instantly log-in to the app from facebook or import a resume and start swiping; right if interested, left if not. 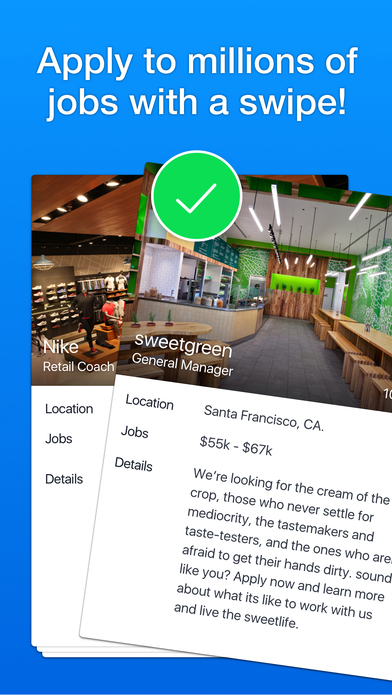 Same as for tinder, the app automatically generates “cards” of both candidates and employers. A match happens when both parties swipe right, a match card is then created and real networking begins. In case a candidate doesn’t want to be seen by their current company, also on jobr app, they can simply block it. Job today, is another example worth mentioning. 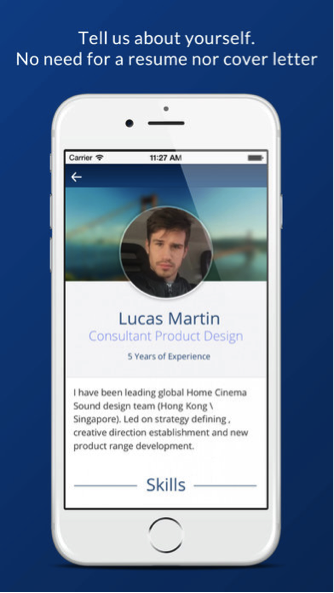 A mobile app that expedites job application process. Candidates are requested to fill in a profile instead of sending out CVs, they can then begin looking for positions by location. Data and photos are automatically shared with selected companies which are inclined to shortlist applicants within 24 hours. The app has also a chat-function where employers and potential employees can connect promptly. Surprisingly, there are other similar job matching applications out there, giving the opportunity to look at jobs through simple swipes, apply and chat directly with hiring managers and recruiters in minutes, like emjoyment, blonk and jobsnap. Tinder itself has been used for recruiting: Amazon put out adverts on the dating app, encouraging engineering candidates to swipe right for a job opportunity at Amazon. Young has revealed that she hired at least two chefs thanks to Tinder. “I was using Tinder obviously for dating and then I saw some profiles where they were wearing aprons” - Young to the Business Insider. During the past few years, talent acquisition leaders have been trying to recruit outside the box and concomitantly humanize recruiting. Tinder and tinder-like apps are emblematic examples of the tools that are paving the way to faster and simpler hiring. It’s a great way to get in touch directly with candidates and the latter don’t lose time looking at useless job opportunities. While Recruitment and job hunt are an ever-evolving and a constantly catering process and we are yet to witness more uncommon and innovative practices in the upcoming years.